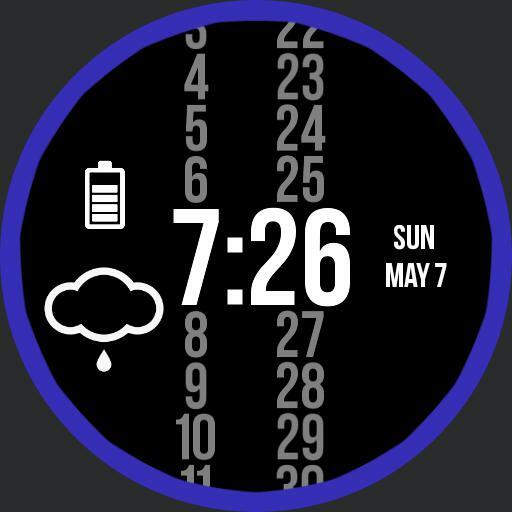 Simple, clean, minimal watchface. When viewing, the watch displays battery life, weather, time 12 hr, and day/date. Weather is selectable for a detailed weather report and sate is selectable for your agenda via tap action. Always on displays date and time. Blue outer circle visible in both viewing and always on mode.